With full suspension and the power of the most powerful BOSCH drive unit, the AMINGA TR 1 offers maximum sporty comfort combined with the confidence of knowing even the steepest of hills can be mastered. 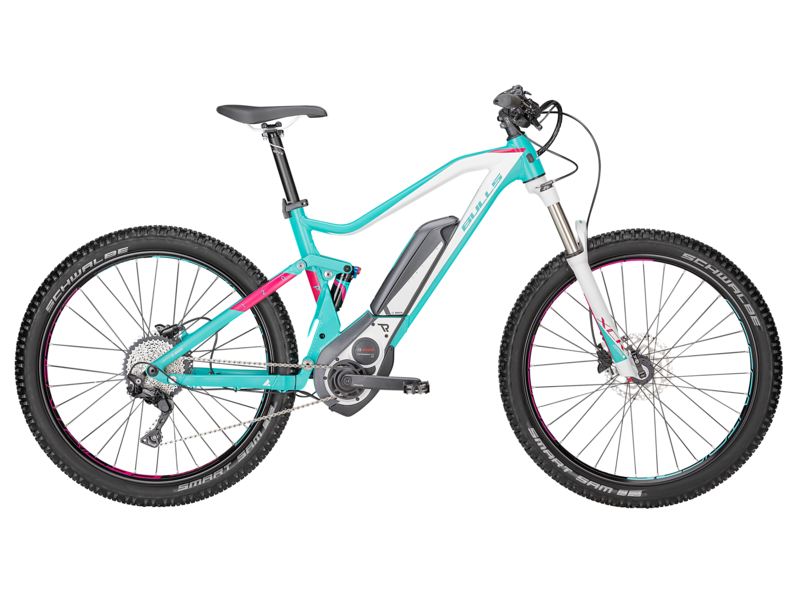 Equipped with the comfort and traction of a full suspension system, as well as the power of the BOSCH Performance Line CX drive unit, female cyclists are perfectly equipped for sporty off-road action. Fast workouts or demanding mountain trips, the AMINGA TR 1 is the optimal companion for all outdoor excursions. Besides the sturdy chassis with 120mm travel, the relaxed frame geometry further provides sporty and comfortable riding. Shortened chain stays offer the required manoeuvrability and agility on the trail on technical descents for maximum riding pleasure. 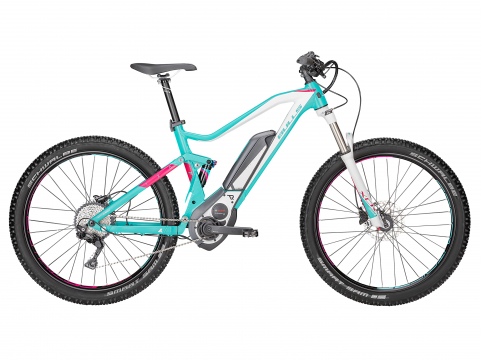 Hydraulic Shimano disc brakes, the Deore 10-speed gear shifter and the robust Schwalbe Smart Sam tyres complete the high-quality equipment of the high-performance e-full-suspension bike.